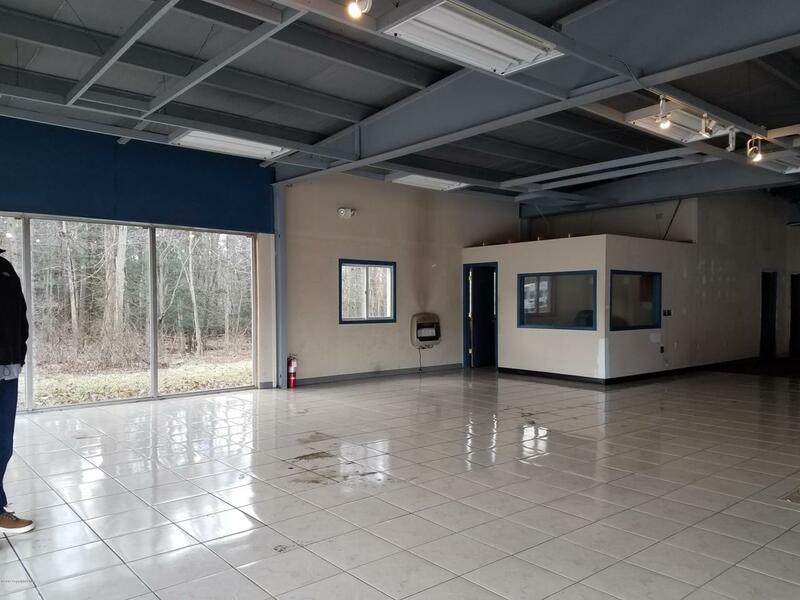 5,000 SF Commercial clear span space in standalone building. C1-Zoning allows for many uses such as retail, office, medical, automotive and more. Building features a large open showroom, offices, and area for repair shop, and restrooms. Equipped with 3 10' O/H doors for vehicle access. Property has paved parking for over 65+ vehicles and a free standing digital sign. Owner/landlord will complete central sewer connection for qualified long term tenant. Access from both Route 611 and Shepherd Lane. Good visibility on Route 611. Near all major attractions and employers.